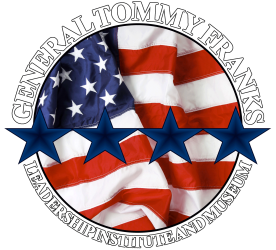 The General Tommy Franks Leadership Institute and Museum is currently seeking a Road Show driver and educator to help meet demand for the mobile Museum during the school year. Drivers should be comfortable maneuvering a one-ton dually pickup pulling a 40 foot trailer. Drivers are paid $95 per driving day and educators receive $65 per educating day. Interested parties are invited to fill-out an employment application and return to GTFLIM with the information below.